The Direct Shift-­CVT delivers the smooth and fuel-­efficient driving of a conventional CVT, with a direct and strong launch acceleration feel using an additional launch gear. A wide gear ratio range and linear acceleration feeling contribute to driving pleasure, achieved by synchronizing the engine speed and vehicle speed with the driver’s operation. In conjunction with drive mode control, it realizes responsive performance to suit various driving styles, from smooth driving with excellent fuel economy to sporty driving with fast shifting. 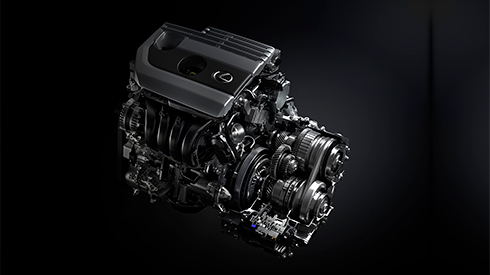 Featuring a compact and highly rigid format, the column assist-­type EPS delivers the sharp response expected of a Lexus. Adopting a large column shaft enhanced torsional rigidity, boosting both steering response and easy operation, contributing to responsive handling that instantly and crisply responds to driver inputs with a smooth and sure steering feel. 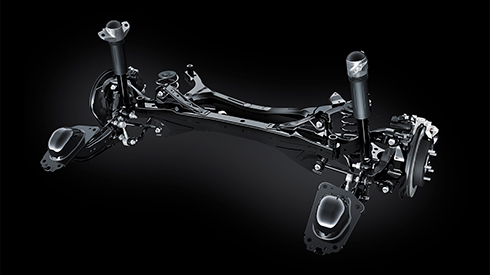 The MacPherson strut front suspension and double-­wishbone rear suspension deliver excellent steering response together with premium ride comfort. They were fine-­tuned specifically for the UX in keeping with the ‘clear and deep feel’ performance philosophy, and driven hard in testing on a race circuit to deliver reliable response and handling even at the limits. 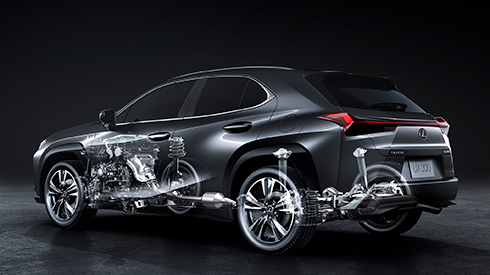 Careful attention paid to the shock absorbers, including refining the damper oil, oil seals and FCD (Friction Control Device), also enhance the ability to absorb vibrations transmitted from the road surface to provide a flat, comfortable ride. 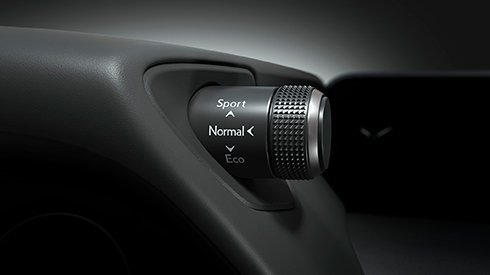 Drive mode select provides integrated control of multiple systems including the engine and CVT to let you tune performance to suit your driving style. You can select and change between three modes: Eco for fuel efficient driving; Normal for balanced driving performance with fuel efficiency; Sport for sporty driving with enhanced steering feel and acceleration response. 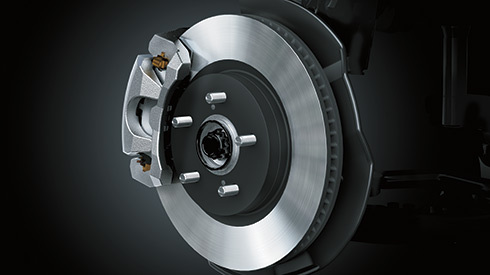 Engineered for excellent braking force, control and response, the brakes provide intuitive response to the driver’s input, feeding driving pleasure by supporting exciting driving with peace of mind. 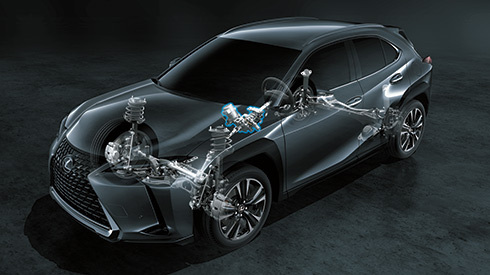 The advanced Lexus GA-­C platform forms the backbone of the UX, providing the foundation for the core elements of its dynamic performance: accelerating, cornering and braking. 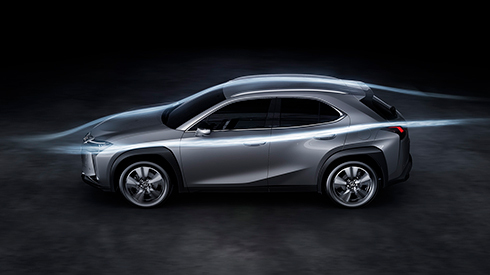 Combining excellent rigidity and a low center of gravity, it endows the UX with the sharp response and maneuverability of a passenger car enjoyed in the exceptional linear stability, fast stable cornering, and pleasing acceleration, together with excellent ride comfort and the security of peace of mind. 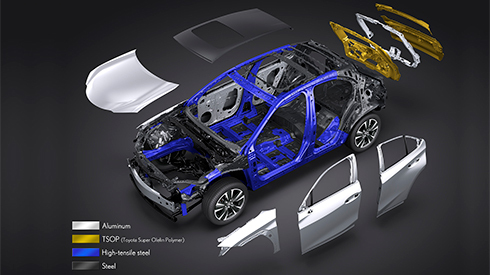 To create a strong yet light body, hot-­stamp and high-­tensile steel were used in key body components including the underbody, together with aluminum for the hood and side doors, and resin for the back door. Reinforcements around the outer side and back doors that connect the squared reinforced annular structures and the extensive use of technologies including laser screw welding and structural body adhesive further enhance rigidity, contributing to agile handling and excellent steering response and feedback. In the pursuit of outstanding aerodynamic performance, the UX combines bold design with advanced aerodynamic performance. It drove developments in aerodynamics including the innovative aero stabilizing arch moldings, and aero stabilizing blade lights with integrated rear combination lamps. Blending form with function, the front and rear fenders feature aero stabilizing arch moldings with a distinctive rounded front section, squared rear section and flat upper surface that help to suppress unstable vehicle behavior, enhancing roll stability while cornering. The eye-­catching aero stabilizing blade lights feature vertical fins on the outer edges which smooth airflow over the back surface, contributing to excellent rear stability while cornering, as well as enhancing stability in high speed driving in side winds.